Fiat will not sell its Alfa Romeo unit and plans to relaunch the brand in the United States in late 2012, top Fiat executives said. “We would not sell Alfa even if we were offered tons of money,” Fiat Chairman John Elkann told reporters at the Detroit auto show on Monday. 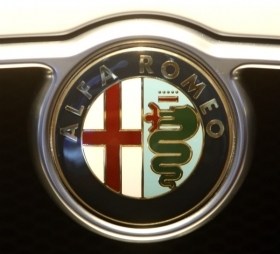 Volkswagen AG is rumored to be pursuing Alfa Romeo. Ferdinand Piech, VW supervisory board chairman, said last March that VW is interested in Alfa, but in no hurry to buy it. Marchionne confirmed that Alfa plans to return to the United States by the end of 2012. He said the midsized Giulia sedan most likely would be the first Alfa model sold here because it is based on a platform that meets U.S. safety standards. “Our plan is to build the Giulia in the Mirafiori plant," in Turin, Italy, Marchionne said. Alfa models could be produced in Chrysler plants in Sterling Heights, Mich., or Brampton, Ontario, Marchionne said. Alfa's Giulietta compact hatchback, based on Fiat's Compact architecture, will come to the United States when it is refreshed in 2014.